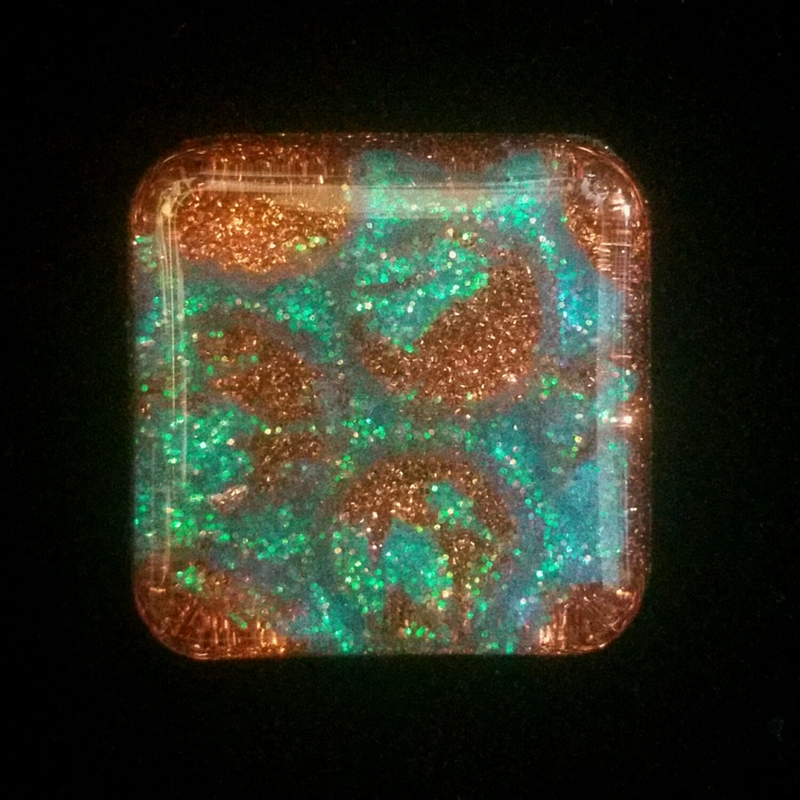 This one was made by dripping resin infused with glitter or pigment into a mold filled with clear resin. These are destined to become a pair of earrings for myself. 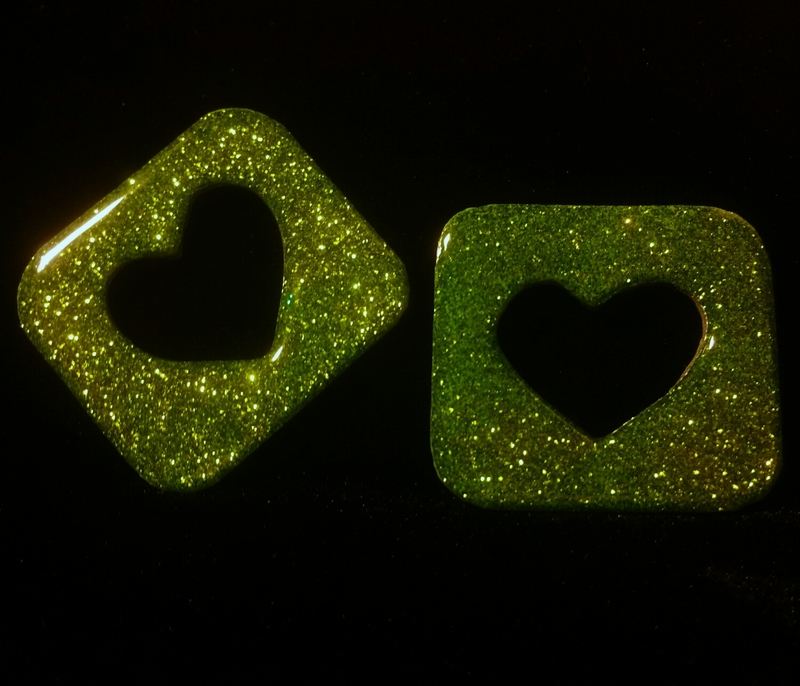 I love the way they came out, I will certainly be using glitter foam in more resin projects. Similar to an earlier set I used copper glitter in this one instead of leaving the resin clear. 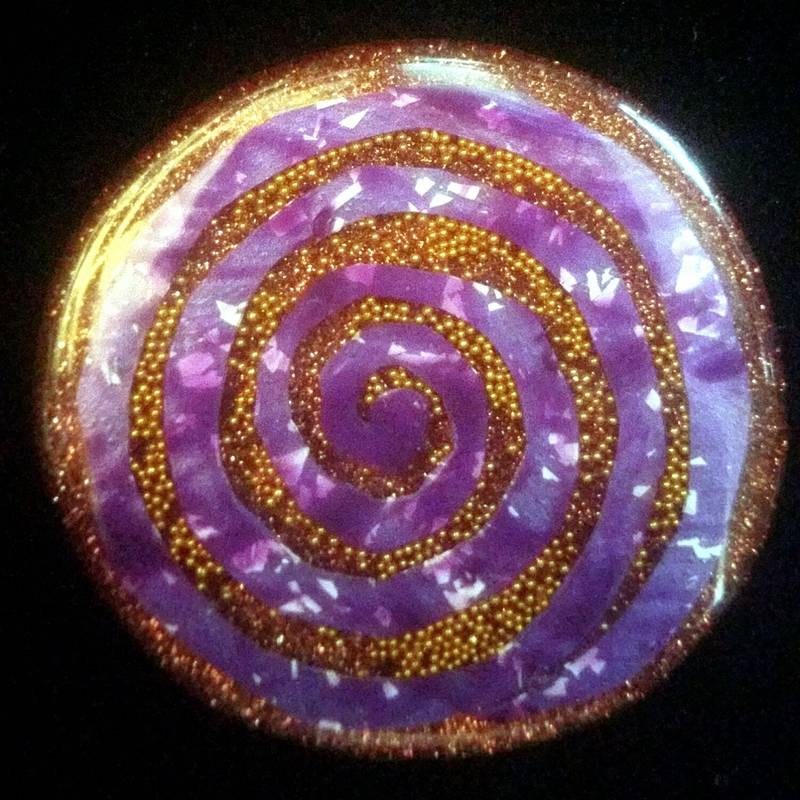 This was made with a purple acrylic skin and gold microbeads with copper glitter in the background. 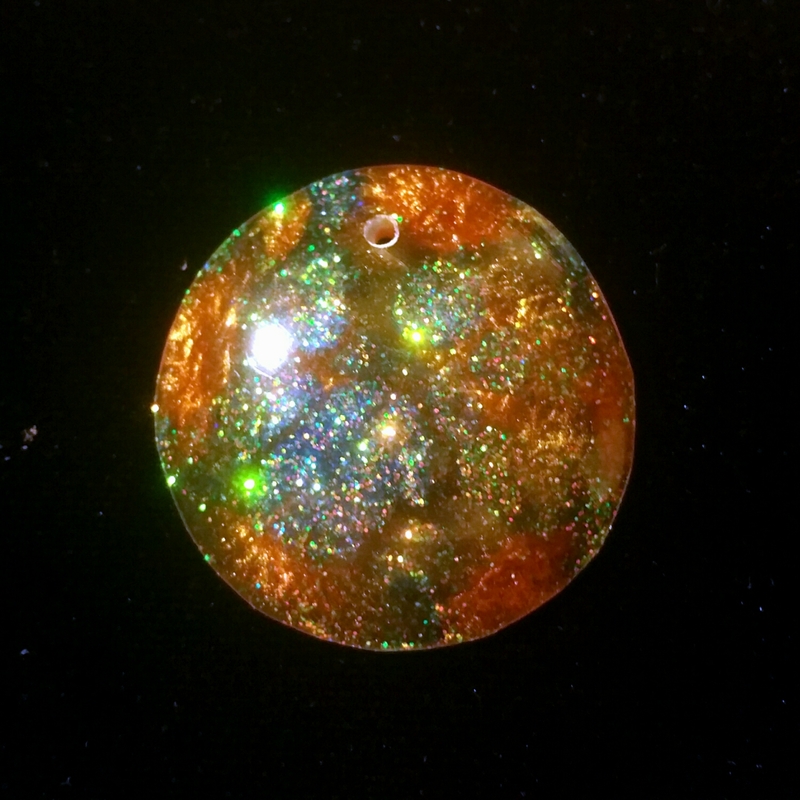 The pendant is reversable and looks like a piece of Goldstone on the back. Next postNothing left to do except varnish and pick a destination.